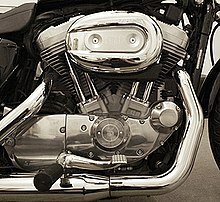 ^ | “motorcycle, n.”, Oxford English Dictionary Online, Oxford University Press, (March 2009), "1. 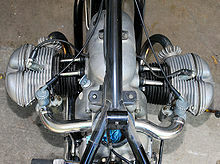 A two-wheeled motor-driven road vehicle, resembling a bicycle but powered by an internal-combustion engine; (now) spec. one with an engine capacity, top speed, or weight greater than that of a moped." ^ “HANDLEBARS; Ducati's GT Brings Back A Saucy Spirit of the '70s”, The New York Times, (December 3, 2006), http://query.nytimes.com/gst/fullpage.html?res=9B07E4DD1E3EF930A35751C1A9609C8B63, "But 'desmo' has become a code word among enthusiasts, in much the same way that Hemi has become a rallying cry for performance-minded Dodge owners, and Ducati is smart not to abandon the mystique that has grown around it."